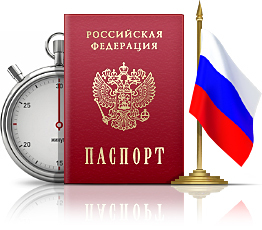 A borrower should be a resident or a citizen of Russian Federation and have passport of Russian Federation citizenship valid in the moment of credit arrangement. A positive effect to the result of the credit application considering might have availability of additional document: driving license, international passport, insurance certificate of the State pension fund, Voluntary Medical Insurance Policy/Card, or a tax identification number. This optional requirement is appealed to simplify and speed up a credit receipt. Maximum age of a borrower has an upper limit – a retirement age: 55 years for women and 60 years for men. A lower limit for a client is 19 years for women and 22 years for men. «ALFA-BANK» offers special credit conditions: 19-20 years for women (included) and 22-23 years for men (included). Permanent registration (residence permit) in one of the permitted for credit regions is obligated: Moscow, Moscow region, St.Petersburg, Leningrad, Tulskaya, Kaluzhskaya, Ivanovskaya, Vladimirskaya, Branskaya, Razanskaya, Yaroslavskaya, Tverskaya and Smolenskaya regions. Permanent position (with no less than 3 months accumulated period of work in this company). A borrower should present following information: a name of the company, its actual address and fixed line phone number. A client should inform about the home phone number and/or mobile phone number. Declared monthly income – no less than 5 500 rubles. The client should not have any credit payment delays in other banks. Clients who have 2 outstanding credits in OAO “ALFA-BANK” for a moment of application filing will be refused. * Retirees on preferential terms are the clients who were retired earlier than statutory age of retirement is established due to specific working conditions and who don’t have permanent position and/or job at all (military servants, firemen, policemen, medical professionals, hazardous industry workers and other categories of the citizens ). Minimum age for early retirement is 45 years. Exception: clients who were retired due to the physical disability! Pension certificate availability is an obligatory condition to issue a credit to a retiree on preferential terms. A copy of the Pension Certificate is presented to the bank with a copy of Russian Federation citizenship Passport.